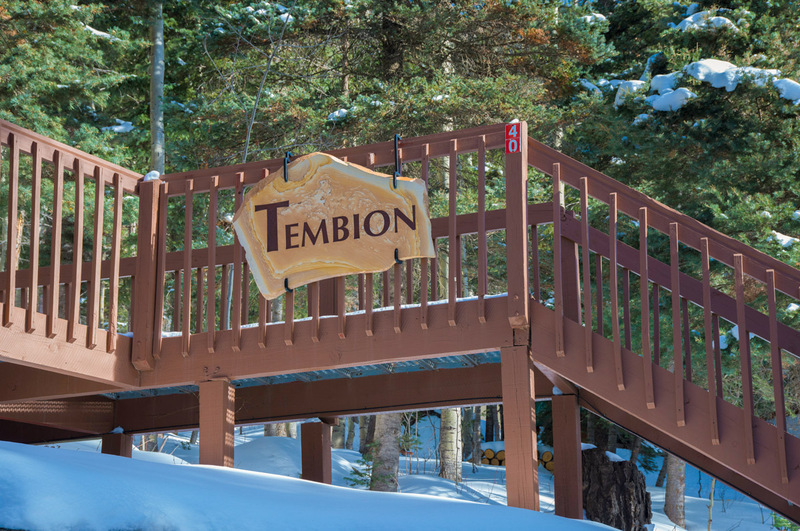 Tembion 1 is on the second level of a three level home within walking distance of the base area, and is a great home for large groups or families on a ski getaway. 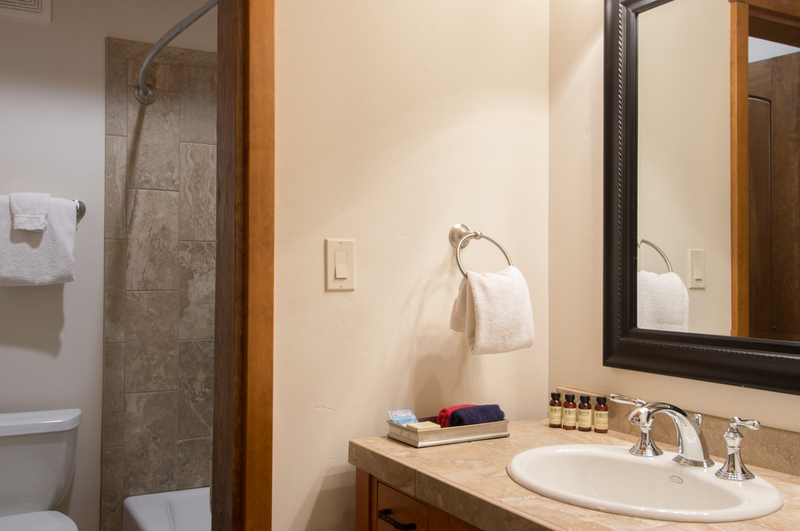 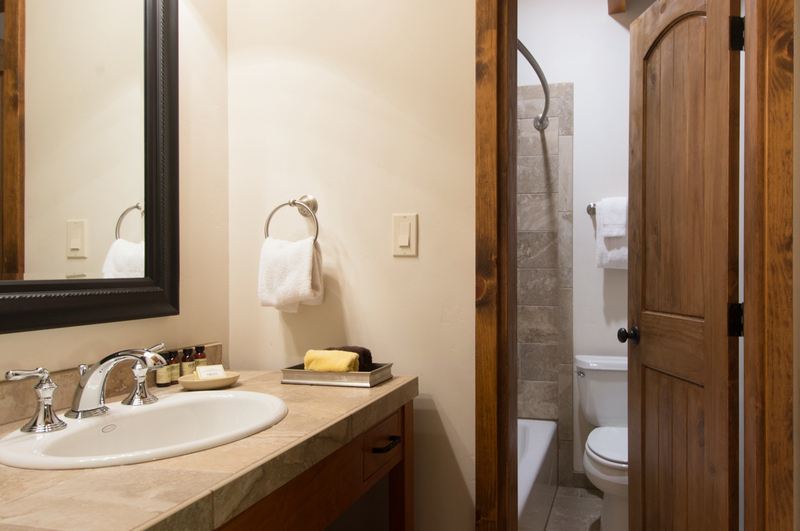 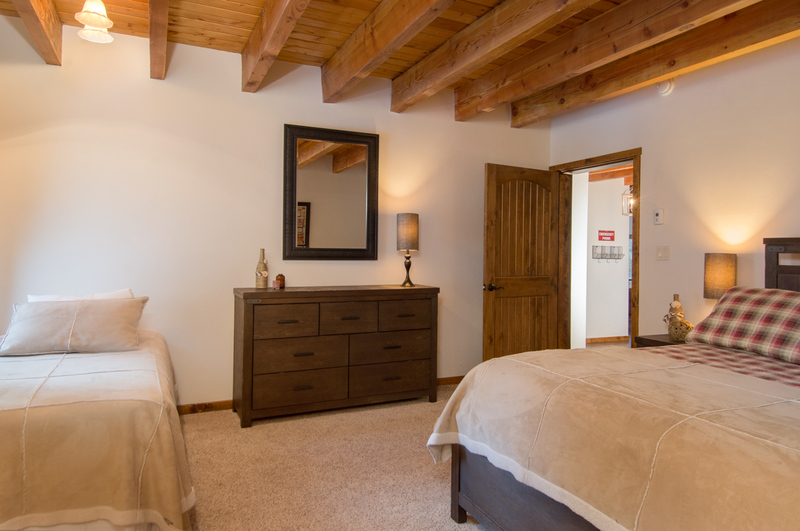 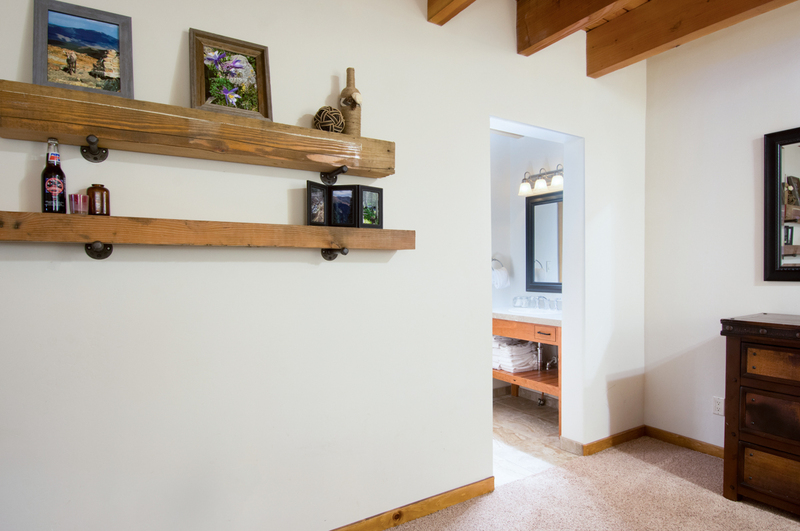 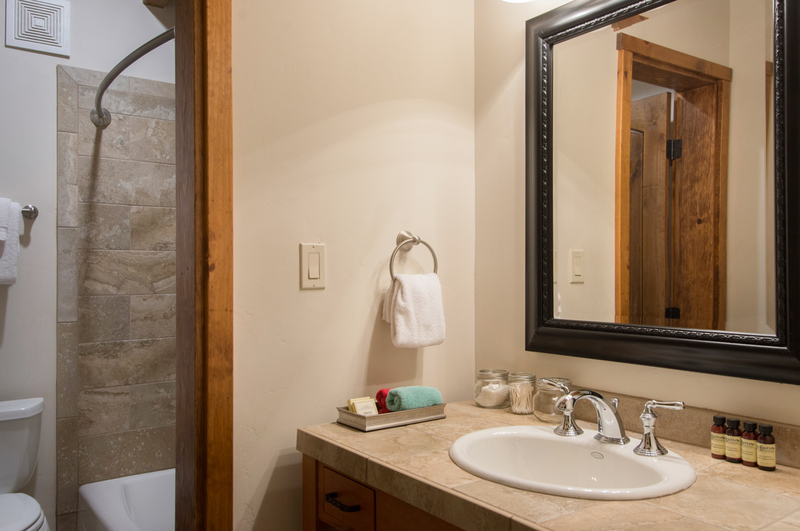 The home has 4 bedrooms, each with their own private bathroom, and an additional half bathroom. 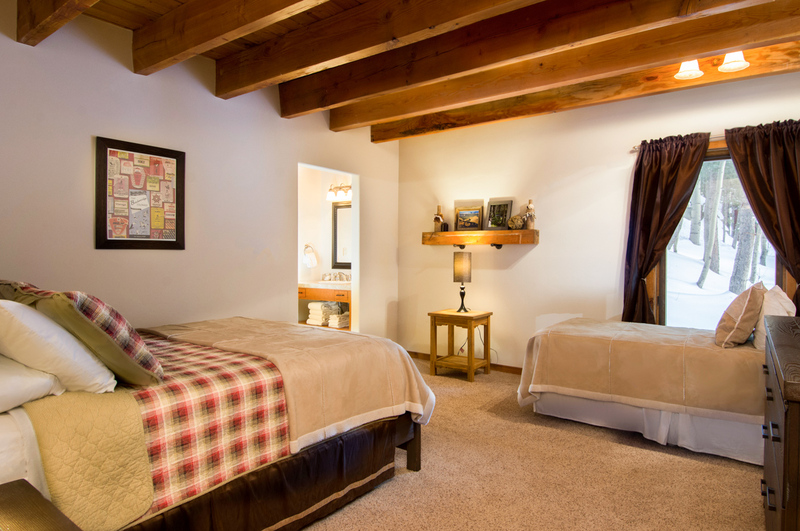 The first bedroom has a queen bed and the second has a queen and one bunk bed set as well as a TV. 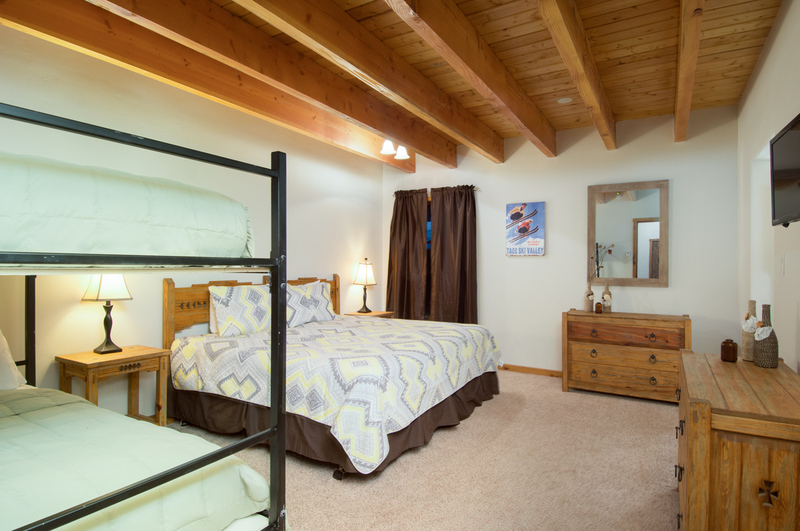 The third bedroom has one king (bridgeable twins), a bunk bed set, and a TV. 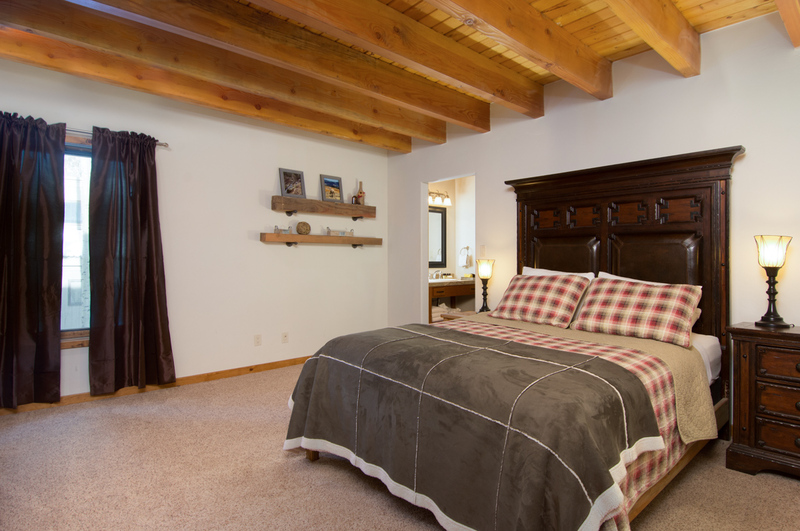 The last bedroom has 1 queen and one twin bed. 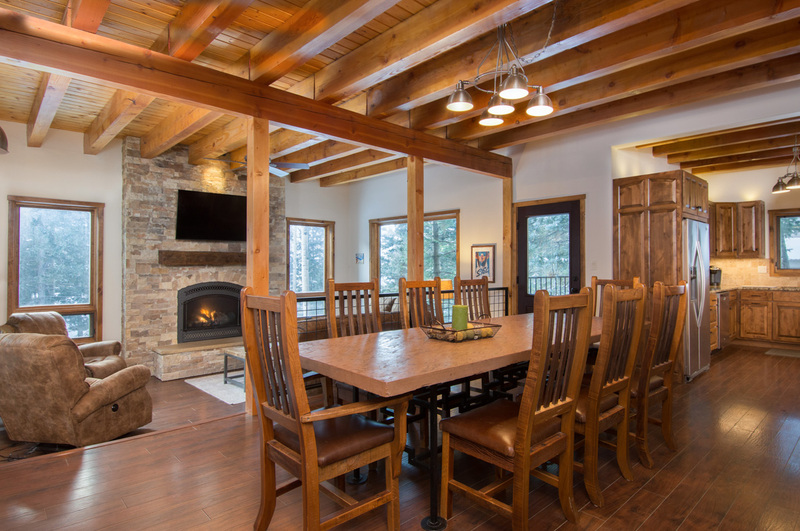 There is an open living area combining the dining room and living area with a fireplace and large wall-mounted TV, as well as a fully equipped kitchen with plenty of room to cook full meals. 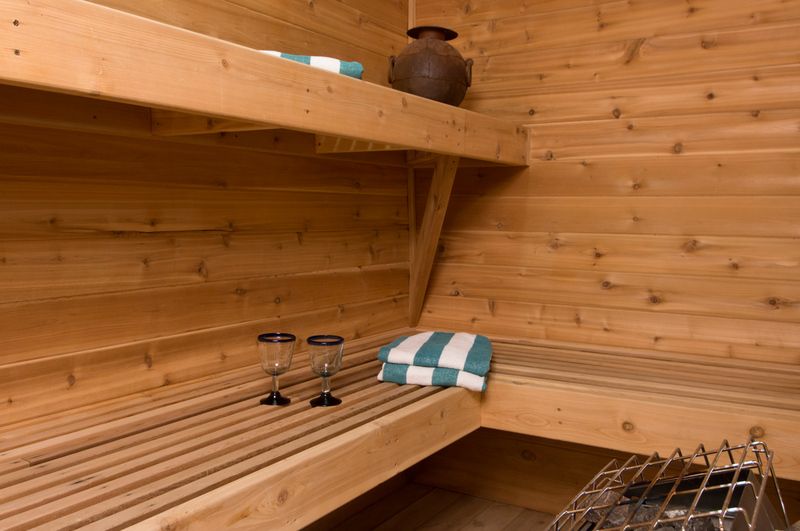 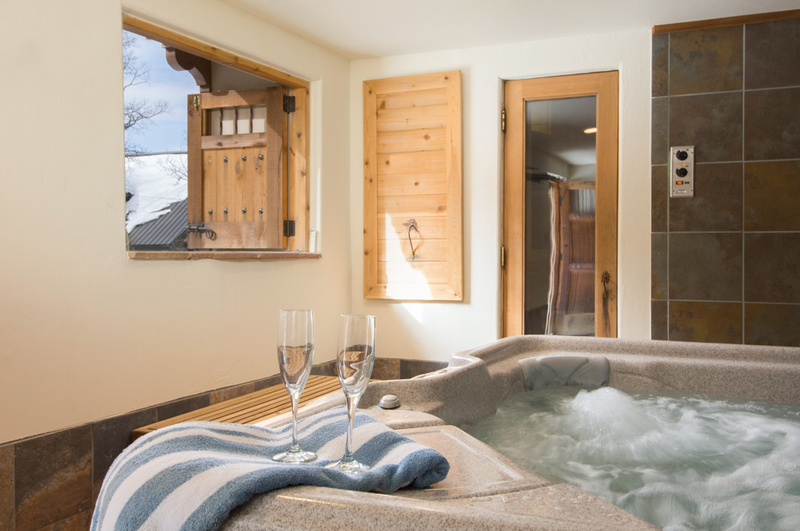 A shared hot tub and sauna are located on the first level. 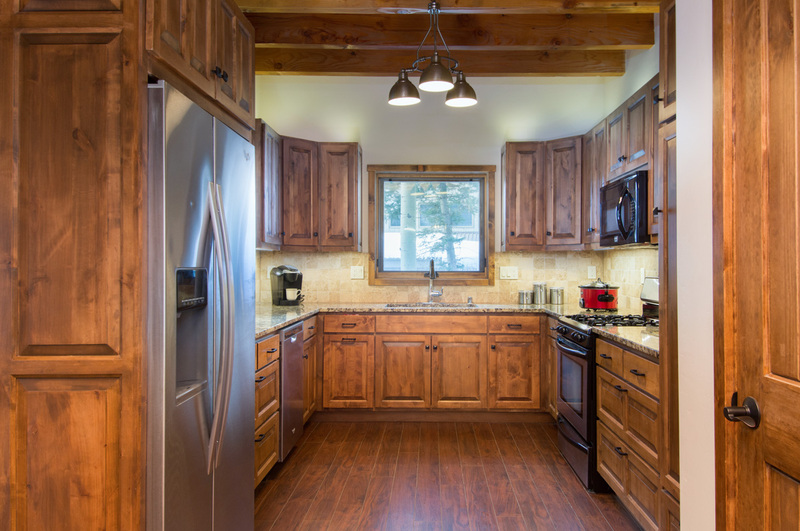 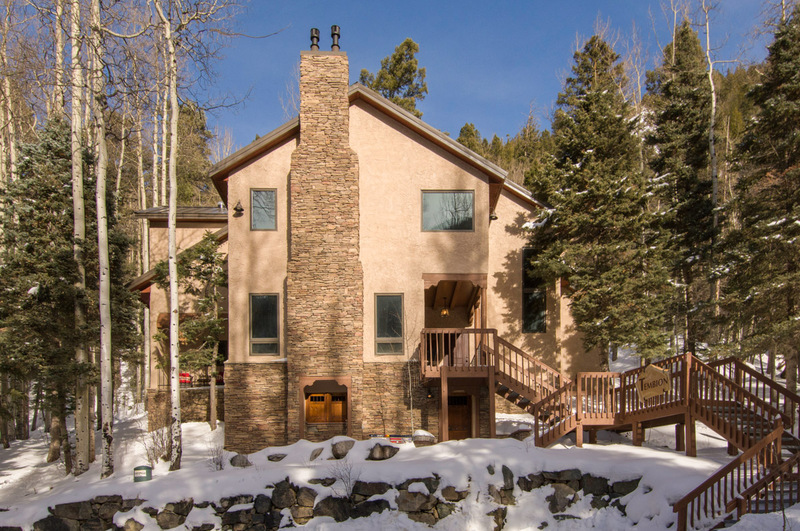 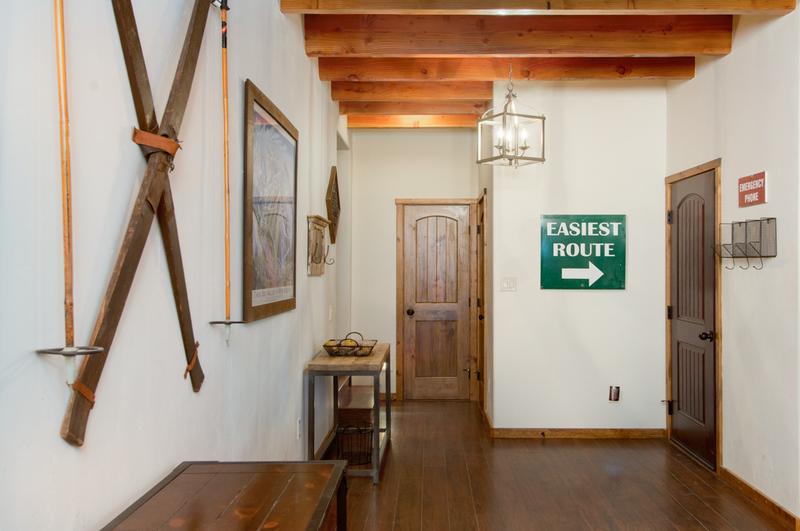 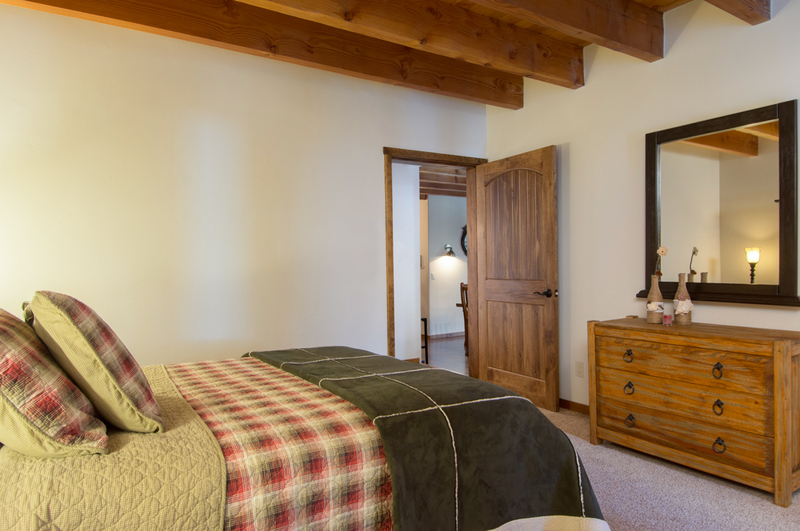 This home is also equipped with a gas burning fireplace, laundry room with large washer and dryer, and ski and snowboard storage. 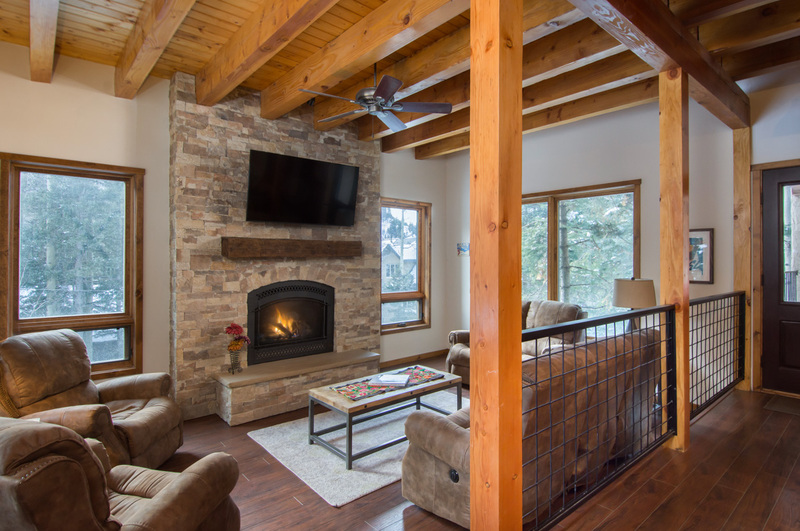 A 14-pair boot dryer has recently been installed for the ski season! 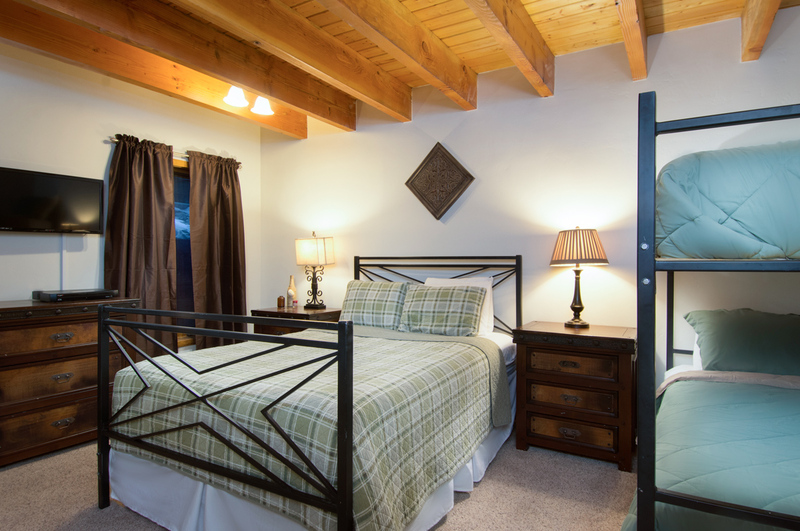 If you need additional space Tembion 2 can also be rented comfortably sleeping 19 or totaling 14 separate beds.